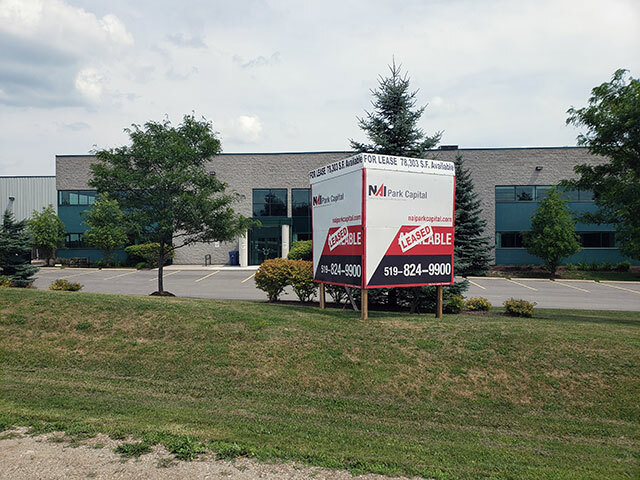 NAI Park Capital, in conjunction with Read Capital Realty Corp. is pleased to announce the successful lease transaction at 400 Southgate Drive, Guelph, Ontario. 400 Southgate Drive is a 78,303 square foot industrial building, situated on 5.6 acres of land, located in Guelph’s Hanlon Business Park. The property is located in close proximity to the Hanlon Parkway, and only minutes north of Highway 401. Michael Merker of NAI Park Capital, and Steven Sisolak of Read Capital Realty Corp. represented the landlord. Michael Lambert of Whitney & Company Realty Limited represented the tenant. Tagged: commercial leasing, guelph, industrial, leased.